Berlin (AFP) - European populist and far-right leaders on Monday seized on the jihadist attacks in Paris to demand the continent stem the record migrant influx, charging that terrorists could hide among the masses. 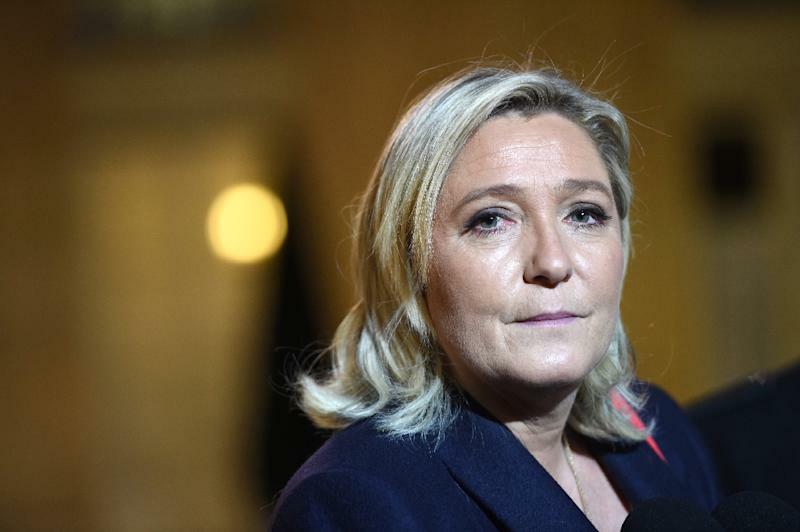 France's anti-immigration National Front leader Marine Le Pen called for an "immediate halt" to new arrivals, while Germany's xenophobic PEGIDA movement drew thousands to their latest anti-Islam rally. 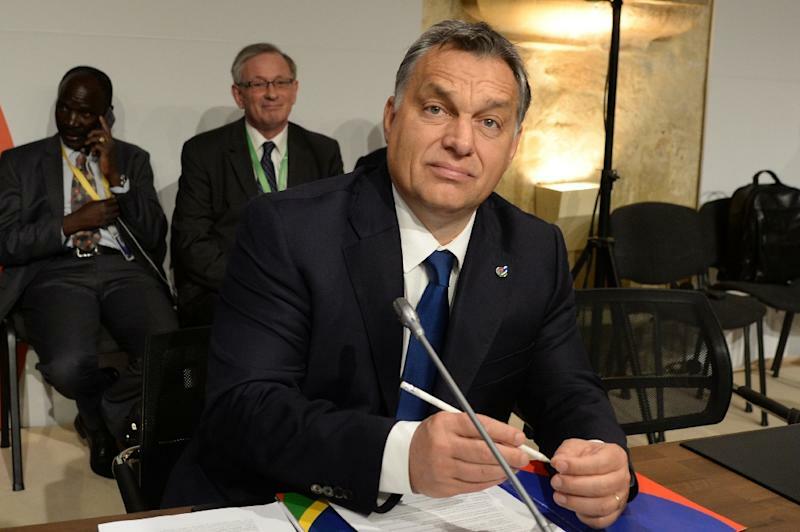 Hungary's hardline Prime Minister Viktor Orban, who has shut out refugees with razor-wire fences, said that "terrorists have exploited mass migration by mingling in the mass of people leaving their homes in the hope of a better life". "We don't think that everyone is a terrorist, but no one can say how many terrorists have arrived already, how many are coming day by day," he told parliament in Budapest. From Poland to the Netherlands and as far as the US state of Alabama, politicians have charged that extremists could be hiding among the hundreds of thousands fleeing conflict. They pointed to the discovery of a Syrian passport near the body of one of the Paris suicide attackers, with French prosecutors saying his fingerprints matched those recorded in October in Greece, the start of the European migrant trail for many. President Barack Obama warned against drawing a link between terrorism and refugees, after two US states said they would block or suspend a programme to resettle Syrian refugees within their borders. "The people who are fleeing Syria are the most harmed by terrorism, they are the most vulnerable," Obama told a news conference in Turkey. "It is very important that we do not close our hearts to the victims of such violence and somehow start equating the issue of refugees with the issue of terrorism." In Germany, thousands joined a rally of the PEGIDA movement, cheering a speaker who blamed the Paris attacks on what he labelled Europe's failed immigration policy. "The attacks didn't come out of nowhere," Siegfried Daebritz, a leader of the self-styled "Patriotic Europeans Against the Islamisation of the Occident", told the flag-waving crowd in the eastern city of Dresden. "They are the result of an immigration policy that invites people from completely foreign cultures with completely different values into countries and regions whose culture many of these immigrants despise." 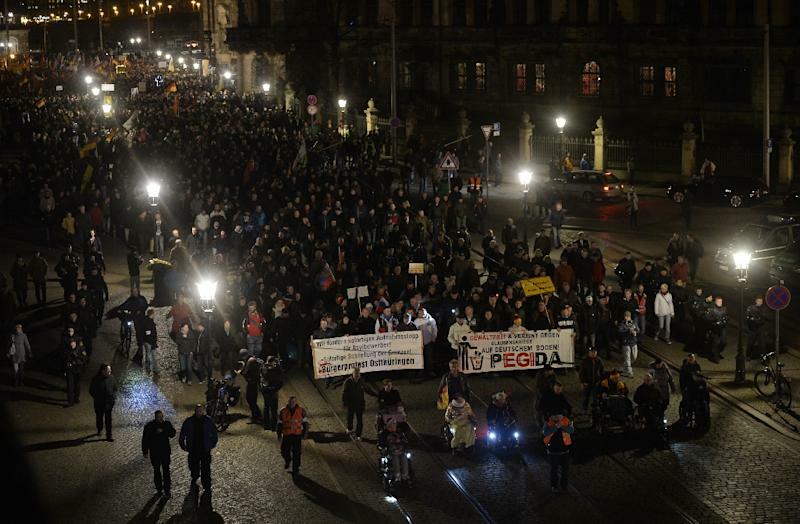 An initiative by the city's university gave a crowd estimate of 9,000 to 12,000 -- far below PEGIDA's all-time record of 25,00 after January's jihadist attack against the satirical magazine Charlie Hebdo in Paris. In still traumatised France, far-right leader Le Pen's party said that its "fears and warnings of the possible presence of jihadists among the migrants entering our country" had been borne out. Dutch anti-immigration politician Geert Wilders took to Twitter to say to the government: "Will you listen at last: close the borders!" Some mainstream politicians have also joined the leaders of fringe protest groups in linking the attacks with the migrant wave. Poland's incoming European Affairs Minister Konrad Szymanski said Saturday that Warsaw no longer considered an EU plan to redistribute refugees across Europe to be a "political possibility" in light of the Paris attacks. In Germany's southern Bavaria state, the main gateway for arriving migrants, Markus Soeder, a leader of the conservative CSU party, charged that "a new era has started. The time of uncontrolled and illegal immigration is over. Paris has changed everything." A commentary on news site Spiegel Online said that since Friday's attacks, leaders of Germany's populist right "seem to be blowing their gaskets", and that "the most likely motive is fear". It said that "it is one of the IS's goals that Muslims in Europe feel marginalised and stigmatised, to make it more likely they can recruit them one day". "It is paradoxical that Germany's fearful enemies of Islam are stepping right into the trap of the Islamist terrorists and reacting in exactly the way the ruthless foes of humanity had intended."